The New Zealand Superannuation Fund (NZS) is on the cusp of appointing external managers to implement a new ‘factor investing’ strategy. Fiona Mackenzie, NZS head of investment, said the $30 billion plus fund had opted to go down the factor-investing route for a portion of its massive passive holdings. The tilt at factor-investing – also known as ‘smart beta’ – was previewed in the recent NZS ‘Investment Environment’ report. Published last week, the report says the NZS was “considering” factor-investing as one way to squeeze more out of its passive portfolio (currently representing about 75 per cent of the fund’s total assets). Mackenzie said the NZS would appoint external managers to implement the factor-investing strategies, rather than manage the process in-house. As well as having access to third-party expertise, she said “cost-wise we can do well appointing external managers, too”. NZS’ current passive global equities investments are shared among BlackRock, Northern Trust and State Street. BlackRock also manages a passive global fixed income portfolio for the fund. The Investment Environment report – released for the first time last week – also shows the NZS in a cautious mood. According to the report, NZS holdings were closely tracking its ‘reference portfolio’, indicating a dearth of “outright good investment opportunities” as most asset classes were “at or above fair value”. “Consequently, we are taking on less active investment risk than a year ago,” the NZS report says. At the same time, the fund was tinkering with portfolio settings including: examining how the underlying strategies mesh together; improving diversification; and, “optimising” the fund’s exposure to “disruptive themes such as technology, regulation and climate change”. At an Auckland forum last week, Mackenzie said the NZS was also worried that the local share market could face a liquidity squeeze unless a broader mix of industry players joins the fray. “Diversity in terms of market participants – brokers, fund managers, and listed issuers – is vital for liquidity to grow over time,” she said. According to Mackenzie, fund manager capacity limits would have to be revised if liquidity in the NZ equities market does begin to suffer. 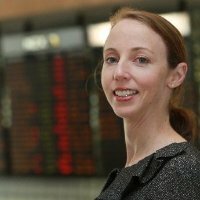 “When we evaluate external investment managers, their capacity in terms of exposure to NZ equities (vs other exchanges such as Australia) is one of the main things that we assess,” she said. Mackenzie said internal NZS analysis indicated most local equity managers hit capacity limits (for NZ shares) at about $800 million to $1 billion under management. Nonetheless, New Zealand remains “pretty much” the only market where the NZS invests in equities via external, active managers. “Virtually all our remaining listed equity exposure (which is global) is accessed passively, which is much lower cost, because we believe in most equity markets it is very difficult for active managers to consistently beat their benchmarks,” Mackenzie said. After formally ending a $280 million relationship with Milford Asset Management this April, the NZS now outsources about $450 million across just two local equities managers – Mint and Devon. The remainder of the NZS $1 billion plus exposure to local equities is managed in-house via a mix of passive and active strategies. Mackenzie said NZ listed shares constitute about a third of the NZS’ $4.3 billion of local investments, which equates to 15 per cent of the fund’s more than $30 billion portfolio. While the government has previously pushed the NZS to favour local assets (at one point calling for a 40 per cent exposure to the home market), Mackenzie said “any NZ investments need to be attractive versus the global investment opportunities that are available to us”. She said the recent high-profile listings of NZS-held assets Z Energy and Scales Corp had been “very positive experiences”. However, she warned “not every investment the fund makes is going to work out as well as [the Z Energy and Scales] transactions”. NZS is currently completing due diligence on a proposal to buy 25 per cent of Kiwibank, with fellow Crown Financial Institution – the similarly-sized Accident Compensation Commission fund – set to take up a further 20 per cent stake in the state-owned institution for a combined $495 million.